Using the One-Tap Short-Cut: It is true that the Android’s clock app is not the best element in an Android phone however, it is definitely one of the top best 5 apps. In most instances, the users need to search around the device to locate an app. When it comes to the clock app, there is, fortunately, a one-tap short-cut right on the screen. All that you need to do is simply tap the digital or analog clock widget and you can instantly jump to the clock. Isn’t it simple? Gradually Increasing the Sound of Alarm: This feature of the clock app works aptly when there is a large number of folks. To avail this option, all you need to do is tap the three-dot menu button on the top corner of the screen and pat slowly to increase the volume. You can then choose how long you would prefer the effect to last ranging from a period of 5 seconds to 60 seconds. Setting the Clock as Screensaver: Most of us have the habit of getting up in the middle of the night and taking a quick look at the time. Thus, setting the clock as a screensaver is beneficial. Moreover, when the Android phone is connected to the charger, the time gets flashed on the screen. Also, there is a feature of night mode that helps the screen to appear relatively dim. Accurately Managing the Do Not Disturb Mode Feature: When using Android’s alarm, managing the ‘Do Not Disturb Mode’ is important. In the ‘Do Not Disturb’ mode all the alerts, notifications and alarms are muzzled. Fortunately, the Android app warns the user if they tend to switch the Do Not Disturb mode and override an alarm. 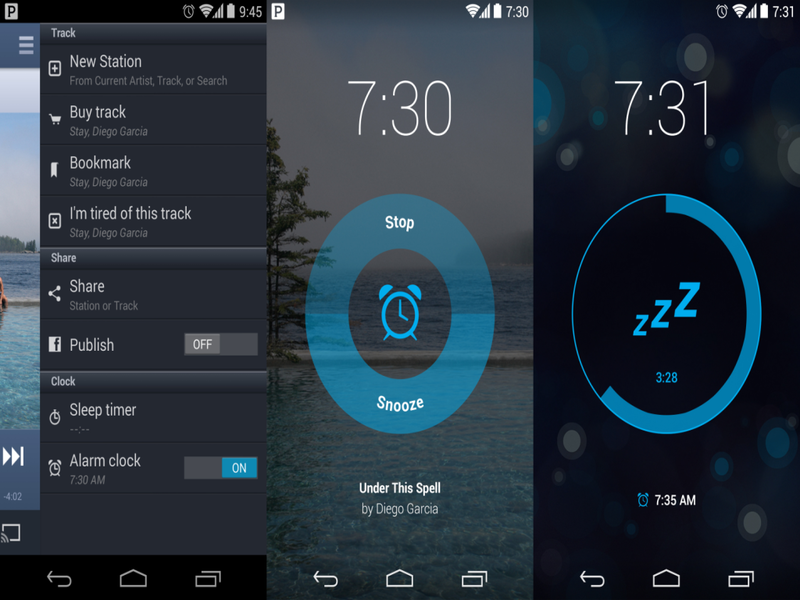 Using a Soothing Sound as the Alarm Tone: Gone are the days when you had to wake up to a canned alarm tone. In Android, you have an option to choose the sound you want. Simply open the alarm app and ‘add new’. Doing so will assist you in picking any sound of your choice from your Audio folder. Silencing the Alarm after a Period of Time: If you want the alarm to get silenced, simply tap the three-dot menu button and go to settings. You then have an option to choose a particular time-period, post which you want the alarm to get silenced. With an array of benefits in a single app, carrying out a host of things with a ‘Clock App’ is not a difficult task. So, take a look at the above-stated tips and make the most of the app!